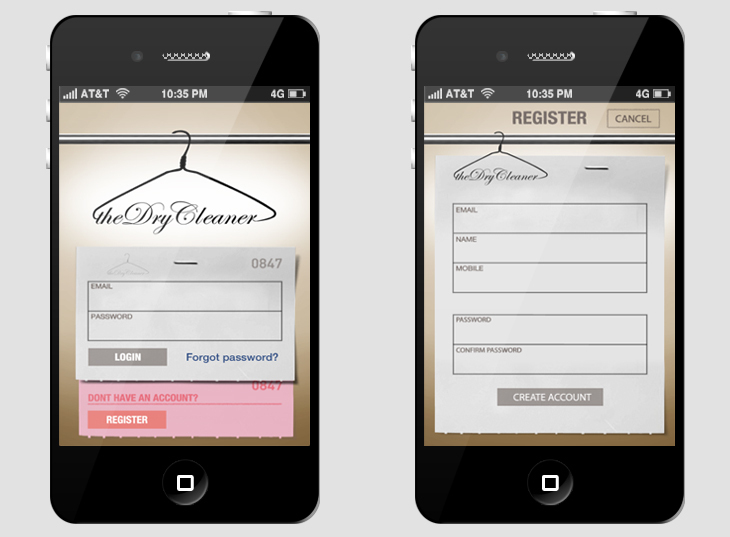 A client that runs a number of dry cleaning business wanted to have some smartphone applications developed to increase brand loyalty and be used for informing their customers of items ready for collection etc. 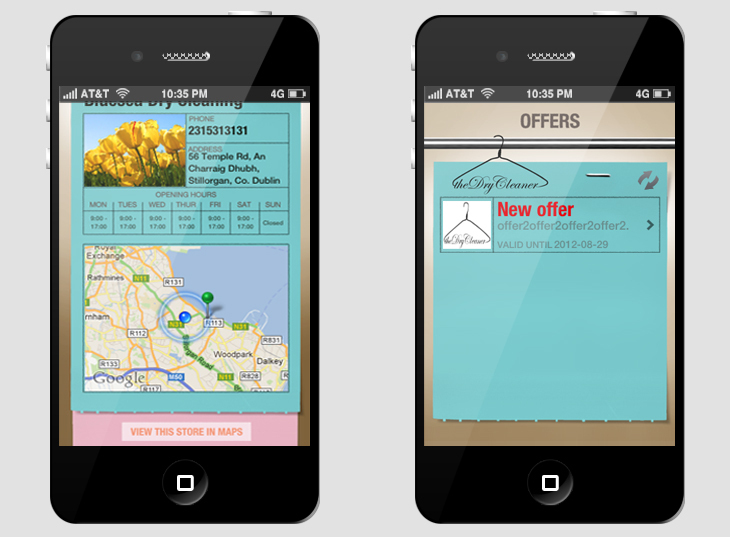 The client was looking for an iPhone and Android application which will allow each individual store push promotions, reminders, special offers and coupons to a user. 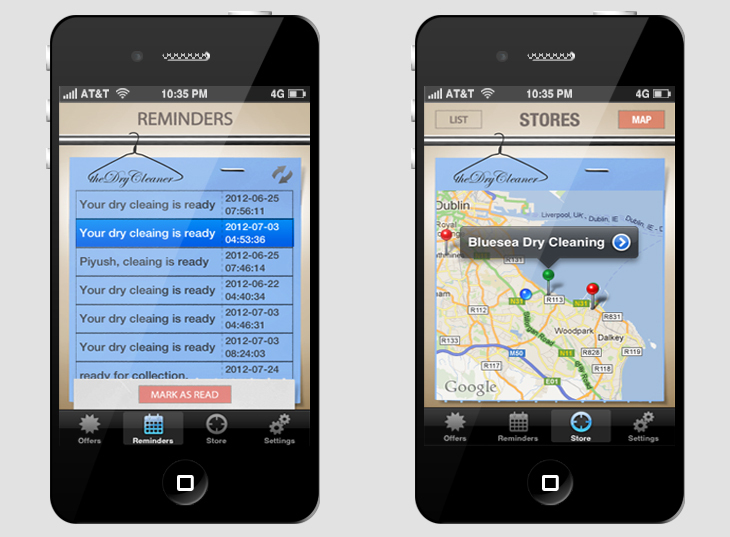 Each user will subscribe to a store and the store owner / manager will have the ability to manage their own dataflow. User will be able to assign up to 3 stores.